Retailing which was originally simply the buying and selling of goods and services has now become a full fledged commerce. With the rising boom in the retail industry many academic institutions in India have decided to offer the youth a new career path- the path to successful Retail Management. With the spurt of shopping malls and departmental stores, massive employment opportunities are unlocking its doors in India and abroad. A retail management course from reputed career institutes may fetch an ideal job. The curriculum on retail management includes subjects like supply chain management, marketing information, finance management, accounting in retail, electronic retailing merchandise management, marketing and business communication. Students also learn about sales promotion with public relation, inventory management, customer relationship, business ethics, retail brand management, business communication, management and organisational behavior and quantitative methods in retailing. 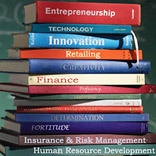 There are many retail schools in India that offer several courses in retail management like MICA, NIFT, NID, Mudra Institute of Communications, Pearl Academy of Fashion, Global Retail School, TWKs , National Institute of Fashion Design (NIFD), Wigan & Leigh College, J D Institute of Fashion Technology, Acumen school of business, Asian retail institute, Welingkar Institute of Management and many more. Since various institutes have different subject lines to offer in retailing, the courses differ in duration. Diplomas, bachelors and masters degree are offered all round the country. In most retail management’s courses, candidates are exposed to all facets of the business. Typically, a new trainee spends six months to three years in various departments to learn the company and industry. Retailing involves a direct interface with the customer and the coordination of business activities from end to end- right from the concept or design stage of a product or offering, to its delivery and post-delivery services to the customer. So the well a course elaborated the better for a learner to begin. “Retail sector will provide the best job prospectus for next five to eight years. We believe that 1990s was the decade of computers and 2000s were the decade for multi nationals. However 2010s will be a decade for Retail. Success comes to people who are present at the right place at the right time,” adds Goyal. “Students with us have been placed in companies like Reliance Retail, TATA Croma, Videocon, GAS, Van Heusen, Peter England, Mobile Store, Spencer’s, Swarovski, Planet M, Reliance Communication, Airtel, Big Bazaar, Shoppers Stop, Pantaloons, LG, etc. Till 2008 we had done over 1,000 placements.” says Goyal. According to industry, the growth in Indian retail business has shown positive effects owing to the evolving consumer behaviour, changing market dynamics as well as easier access to capital by both the retailers and consumers. Companies like Reliance India, Pantaloons, RPG Group, Titan, Raymond and Westside are some of the big Indian companies who operate their retail chains in India. This has created huge employment opportunities for trained retail management professionals. And when it comes to the retailers, they get specially trained employees to head the company with technical knowledge and expertise. If you are a student thinking of opting for a career that will be rewarding, you should give retail management a shot…You never know you might just be heading one of the largest retail companies a few years down the line!